Hope this is helpful. 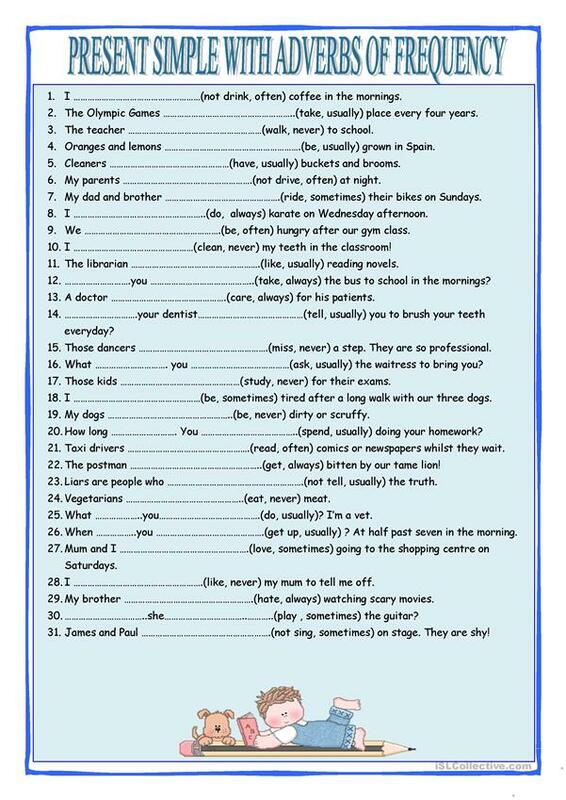 It includes sentences with will help to learn where to put the frequency adverb. This downloadable worksheet was created for elementary school students at Beginner (pre-A1), Elementary (A1) and Pre-intermediate (A2) level. It is a useful material for practising Present simple tense in English.